There is a very interesting conference being planned for next week that needs our attention even though the meeting is for clergy and related persons to the field of the spiritual life and exorcism only and the conference is closed to new registrations. The Pope Leo XIII Institute is hosting a conference, “The Virgin Mary’s Role in the Defeat of Satan” at Mundelein Seminary, August 7-12, 2016. Keep the participants in prayer. When they came to a place called Calvary, they crucified Jesus there. – His mother stood beside the cross. A sword of sorrows pierced her blameless heart. This feast was established by Pope Innocent XI in 1683, that the faithful may in a particular manner recommend to God on this day, through the intercession of the Blessed Virgin, the necessities of His Church, and return Him thanks for His gracious protection and numberless mercies. What gave occasion to the institution of this feast was the desire of all Christendom for a solemn thanksgiving which would commemorate the deliverance of Vienna, obtained through the intercession of Our Lady, when the city was besieged by the Turks in 1683. An army of 550,000 invaders had reached the city walls and was threatening all of Europe. John Sobieski, King of Poland, came with a much smaller army to assist the besieged city during the octave of the Nativity of the Blessed Virgin, and made ready for a great battle. This religious prince began by having a Mass celebrated, which he himself desired to serve, his arms in a cross. After receiving Communion with fervor, he rose at the close of the sacrifice and cried out: Let us march with confidence under the protection of Heaven and with the aid of the Most Holy Virgin! His hope was not disappointed; the Turks were struck with a sudden panic and fled in disorder. From that time the feast day has been celebrated during the octave of the Nativity of Our Lady. Reflection: If we, like the Christians of Europe in the 17th century, desire to appease by our prayers the divine anger which our sins have justly provoked, we must join the tears of sincere compunction to a perfect conversion of our habits. The first grace we should beg of God is that He will dispose us to maintain at all times a spirit of worthy penance. And to the invocation of Jesus it is a pious and wholesome practice to join our recourse to the Blessed Virgin, that, through Her intercession, we may more readily obtain the effects of our petitions. For this reason devout souls, with great affection and confidence, honor the Holy Hearts and invoke the Holy Names of Jesus and Mary. Vie des Saints pour tous les jours de l’année, by Abbé L. Jaud (Mame: Tours, 1950); Little Pictorial Lives of the Saints, a compilation based on Butler’s Lives of the Saints and other sources by John Gilmary Shea (Benziger Brothers: New York, 1894). Likely only a few would recognize the name of Frank Duff (1889-1980). He was the founder of the Legion of Mary on this date in 1921 in Dublin. It was First Vespers of the Nativity of Mary 94 years ago. 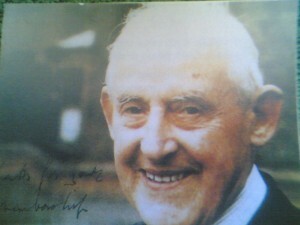 Frank Duff’s cause for sainthood is being considered. 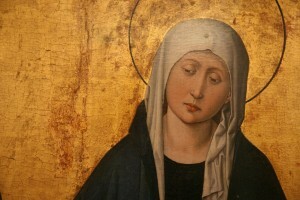 The Legion of Mary had a rather simple work to do: honor the Virgin Mary, promote sanctity, and evangelize the culture. Prayer was key –especially to the Trinity– and doing the hard work of spreading the faith by personally visiting people. They did as Saint Benedict would say, “listen with the ear of the heart.” Frank knew instinctively that the patient and diligent care for others on the level of prayer and listening to the concerns of the people would lead people to Christ. 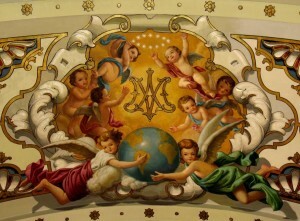 The Legion of Mary has a meeting format that is similar to that of other “successful” Communion and Liberation, Focolare, St. Vincent de Paul Society: a weekly meeting, prayer, spiritual talk, personal sharing by each member on the work done. Always focussed on the work of God. 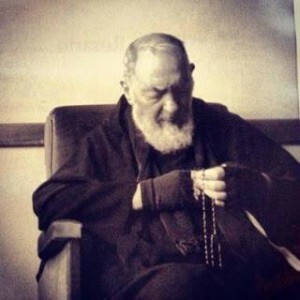 To be a member of the Legion you can’t just pray the rosary, you have to do the work of sharing the faith with others. The spirituality is apostolic and contemplative following the guidance of Saint Louis de Montfort. 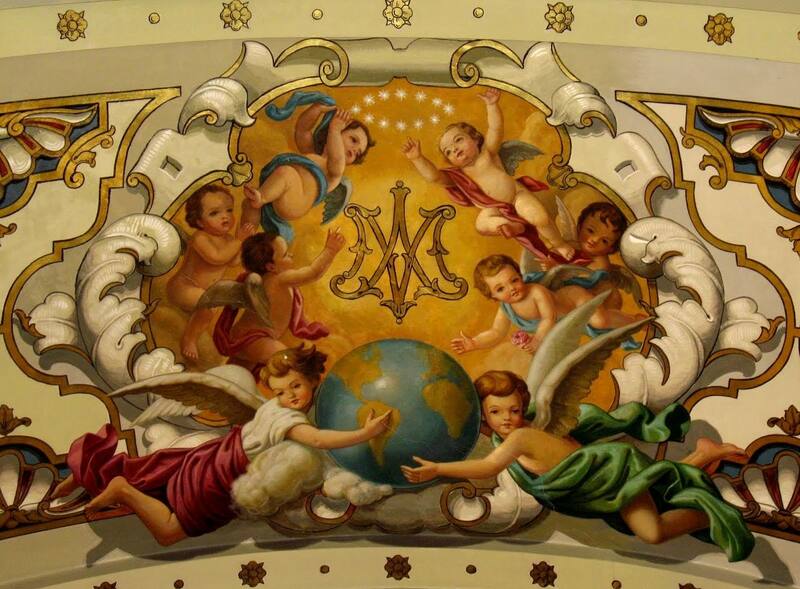 The Legion of Mary has fallen into disuse in this area but there are eager souls willing to carry the torch. Perhaps in disuse BUT NOT irrelevant. When I worked at a parish in NYC we started a Legion of Mary group and I think it prospers. My friend Ken in NYC is faithful to charism of the Servant of God Frank Duff & the Legion, he assures me that it will do good work in the years to come. May the Holy Virgin Mother of God richly bless the Legion and lead us all together to God.